Bassoon? Very few instruments are so exclusively part of the classical orchestra as the bassoon, but luckily a number musicians has taken the instrument into the area of improvised music. Over the past years, we've reviewed albums on which Claire De Brunner, Sara Schoenbeck, Aya Naito, Sophie Bernado, Katherine Young, Alessio Pisani and Karen Borca performed. 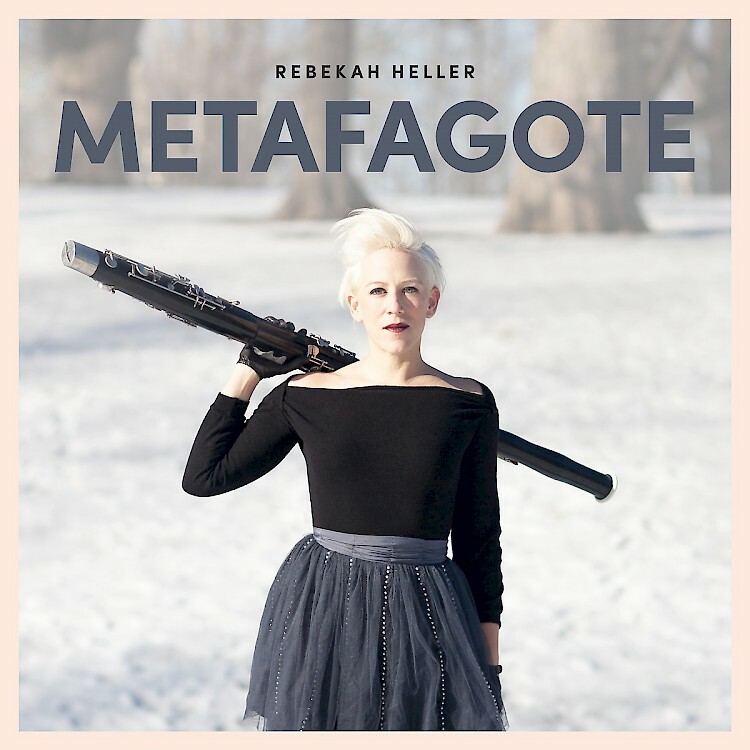 Rebekah Heller is an American virtuoso on the bassoon, and we've come across her on Tyshawn Sorey's album,"Josephine Baker: A Portrait, on which Heller performs as a member of the International Contemporary Ensemble (ICE). In many languages, the bassoon is called "fagot" or "fagote", as here in Portuguese in the title. On 'Metafagote', she performs compositions by Jason Eckardt, Felipe Lara, Rand Steiger, and Dai Fujikura, all composed specifically for her. Some of the compositions include overdubs and electronics, making the sound richer and denser than with a true solo performance. The title track, by Felipe Lara, offers a performance played over six pre-recorded bassoons. On Dai Fujikura's composition, "Following", the instrument can be heard in its natural sound, which in my opinion still gives the best idea of the artist's skills. The same can be said by Jason Eckardt's "Compendium of Catskill Native Botanicals, Asarum canadense, “Wild Ginger”, a strange meditative piece that starts quite distant, but becomes more intimate as the music evolves. For readers looking for something new, this might be of interest: the music is surprising and fascinating, adventurous and exploratory, and Heller's performance is nothing short of stunning, complex, precise, daring and sensitive at the same time. "Carve your loved one’s name into a bench. Carve an obscenity on a school desk. Let your fingers pass over a stranger’s memory from the past, waiting in wood for more eyes to see. Carve is for those who question the traditional route put before them and pursue their own path. Improvisation. Electronics. Bassoon". 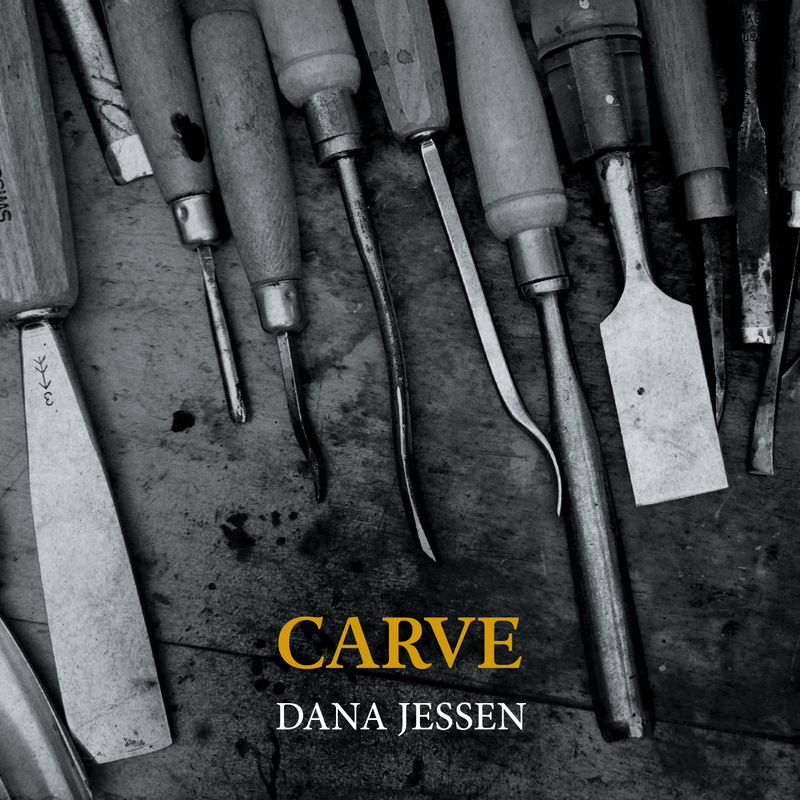 These are the short liner notes that Dana Jessen writes on her solo album. She is a classically trained musician, playing in various ensembles, but with a penchant for free jazz and improvisation. She has performed with Braxton, Han Bennink, Frank Gratkowski, Joe Morris, Taylor Ho Bynum, and many others. On this album she tries to bring both composed work and improvisation. 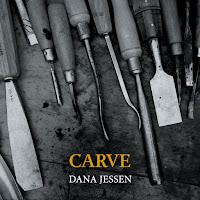 Like Heller, Jessen also uses electronics at times to enhance the breadth of the solo instrument, and add some more depth to the compositions. The opening track by Paula Matthusen is a long and plaintive piece, full of longing and melancholy, followed by a short improvisation "Carve (without reed)", staccato, agitated, with little vocal outbursts and nervous breathing, a stark contrast with the previous track but a good introduction to the next composition by Sam Pluta, "Points Against Fields, Tombeau de Bernard Parmegiani", a very intense and skittish piece of new music, on which sounds seem to be erased by the electronics as soon as they appear. "Carve (with teeth)", the next improvisation has the full sound of the instrument, albeit deeper and wild. Swenden's "Fireflies in Winter", offers a backdrop of cricket sounds in summer and other ambient street noise, over which the bassoon adds long and beautiful phrases, allowing for a lot of space and time for the background, as a kind of hesitation to disturb the noise out there, wondering whether it is interfering or being interfered with? The next composed piece is penned by Kyle Bruckmann, called "Cadenza and Degradations". The piece is composed based on improvised material from Bruckmann on oboe, but here performed by Jessen. An interesting combination which again blurs the lines between composition and improvisation, between classical and jazz music. Again a daring album, one which shows that young musicians can have the vision and power to carve their own path, with skills and not afraid to go beyond the expected or even to go to places where it hurts. I hope both albums will give the bassoon more attention and interest. Its wonderful sound and sonic possibilities should be heard more often ... and two more musicians to follow.